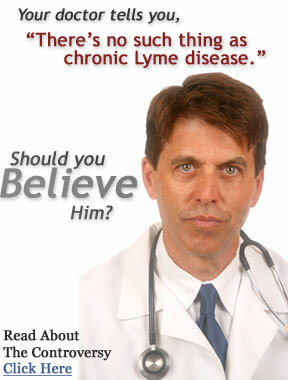 Chronic Lyme Disease - Real Disease or Medical Myth? Real Disease or Medical Myth? ChronicLymeDisease.com was founded by several Lyme Disease sufferers who wish to educate the world about the chronic form of Lyme infection, including new breakthrough Lyme Disease treatments. This website is intended to offer you a brief introduction to the disease, elucidate some of the related controversial concepts, and even describe numerous common treatment options. Additionally, we will present recommended books and display syndicated news articles from newspapers across the country. If you have any suggestions or information that you believe would help our mission, feel free to email us. Thanks for visiting! Lyme Disease is a bacterial infection caused by Borrelia Burgdorferi, an elongated, spiral-shaped bacteria transmitted to humans through the bite of a tick. Known as spirochetes, these bacteria are unusual, not well studied, elusive and difficult to cultivate in the laboratory, and capable of advanced survival activities more commonly found in larger, more intelligent organisms. Most Lyme Disease literature erroneously reports that Lyme Disease was first documented in Lyme, Connecticut, in the late 1970s. Actually, record of the infection dates back to 1883 when a German physician named Alfred Buchwald observed a degenerative skin condition which is presently hypothesized to have been a Lyme-related ailment. Subsequently in the United States, as early as 1920, physicians began correlating what are now known to be Lyme Disease symptoms with tick bites. By 1950, doctors had already discovered that antibiotic therapy provided relief for the symptoms in question. Although it was not until the 1970s that the disease got its name, evidence from various sources makes it apparent that Lyme Disease is much older than popularly believed. See the box to your right for a list of Lyme Disease symptoms. Read treatment guidelines written by Joseph Burrascano, M.D., one of the nation's leading Lyme Disease Doctors. Read about obstacles in diagnosing and treating Lyme Disease. BREAKING NEWS: Get alerts on the new book by Dr. Horowitz, entitled Why Can't I Get Better: Solving The Mystery of Lyme and Chronic Illness! Chronic Lyme Disease - Myth or Reality? There is a debate currently raging in the medical community which centers around the question of whether the chronic form of Lyme Disease is a real medical condition caused by a dangerous, insidious bacterial infection or a fictional disease resulting from psychological factors such as paranoia or hypochondria. Currently, available research2,3,4 and medical experience indicates that chronic Lyme Disease is in fact a real condition caused by the persistent presence of Lyme Disease bacteria in the body. Chronic Lyme Disease can occur even after antibiotic therapy has been administered. This is possible due to the hardy, survival-oriented, and resistant nature of Lyme Disease bacteria. Unfortunately, the chronic form of Lyme Disease is much more difficult to cure, and often involves much more more severe symptoms, than acute Lyme Disease. Chronic Lyme Disease sometimes even causes complete debilitation. Furthermore, recent statistics show that the illness is not only real, but very prevalent and much more common among the American public than most people realize. In fact, the Townsend Letter for Doctors and Patients, a highly respected alternative health journal, indicates that there are more than 200,000 new cases of Lyme Disease per year in the United States alone,5 and that approximately 20% of these cases progress into chronic Lyme Disease―even after antibiotic treatment is administered. Let the math tell the story: 200,000 new Lyme Disease cases per year multiplied by 20% results in 40,000 cases of chronic Lyme Disease per year! Given that most people with chronic Lyme Disease are not successfully diagnosed and treated, the total number of people in the United States with chronic Lyme Disease continues to grow. How many people currently have chronic Lyme Disease? No one really knows, but the number may be quite high―500,000? 1 million? 3 million? There is no convincing biologic evidence for the existence of symptomatic chronic B. burgdorferi infection [the pathologic agent in Lyme Disease] among patients after receipt of recommended treatment regimens for Lyme Disease. Antibiotic therapy has not proven to be useful and is not recommended for patients with chronic (greater than 6 months) subjective symptoms after recommended treatment regimens for Lyme Disease (E-I). These new guidelines have been cause for outrage among Lyme Disease patients, practitioners, and researchers. In fact, the State of Connecticut Attorney General, Richard Blumenthal, has even launched an official investigation into whether the IDSA has violated antitrust laws in setting these guidelines. This investigation may lead to a lawsuit. According to Richard Blumenthal, as quoted in the November 17, 2006 issue of the Hartford Courant, �the new guidelines were set by a panel that essentially locked out competing points of view." Because of the authority of the IDSA, and the CDC�s adoption of the new guidelines, treatment of chronic Lyme Disease has become more than just controversial�it has become illegal, or at least, questionably legal. What does this mean to you? The result of this recent shift toward persecuting and disciplining LLMDs is that it is becoming increasingly common for Lyme Disease sufferers to be denied the medical care they need. The current state of affairs with insurance companies does not help the situation�many companies have followed suit behind the regulatory authorities and now deny coverage to chronic Lyme sufferers. Richard Blumenthal notes that �one of the common complaints we've received relates to denials of insurance coverage � it�s a very chilling economic effect." Lately, the situation has deteriorated considerably. One of the nation's leading pediatric Lyme specialists, Dr. Charles Ray Jones, M.D., has been disciplined and harrased by state medical boards to the point that he may even lose his license. Dr. Joseph Jemsek, another prominent Lyme expert, is also experiencing the heat. Most people do not realize that while these are isolated cases of physician harassment, they will have a wide-scale impact on hundreds of LLMDs across the country, possibly even rendering treatment of chronic Lyme Disease illegal. 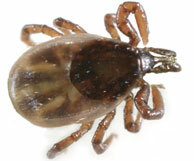 (To learn more about Lyme Disease in children, or pediatric Lyme Disease, visit http://ticktips4kids.com/). For more science on the chronic form of Lyme Disease, we suggest you read Bryan Rosner's new 2008 Lyme Disease Annual Report, an excerpt from which can be found here: Chronic Lyme Disease Science. You won't want to miss Ken Singleton's New Book entitled The Lyme Disease Solution. Is Lyme Disease a worldwide disorder, or only present in the United States? Find out in this excellent article: "Lyme Disease cases in Europe, Germany, Canada, UK (United Kingdom), and abroad"
Columbia University Lyme Disease Research by Brian Fallon, M.D. Fortunately, to counteract the stigma that chronic Lyme Disease is not a real medical condition, there is currently credible, bona fide research taking place at Columbia University, which has established a Chronic Lyme Disease Research Program under the supervision of Dr. Brian Fallon, M.D. This research program ultimately aims to prove that chronic Lyme Disease is a real condition, and further, to explore treatment options. How is Chronic Lyme Disease Treated? Sadly, because most doctors do not recognize chronic Lyme Disease as a real medical condition, treatment is often not given at all. This only contributes to increased suffering. Doctors who recognize chronic Lyme Disease as a real condition and who are willing to treat it are known as Lyme Literate Medical Doctors (LLMDs). These doctors are trained in and qualified to treat chronic Lyme Disease. You can get a free referral to an LLMD at www.lymenet.org or www.lymediseaseassociation.org. In many cases, high-dose, extended antibiotic therapy as applied by an LLMD cures chronic Lyme Disease after shorter courses of antibiotics have failed. However, in some cases, it does not. The Lyme Disease infection is so insidious and resistant that, stated quite simply, antibiotics can be hit or miss. When antibiotics fail, various alternative therapies have been found to help people with chronic Lyme Disease. A new Lyme Disease book, entitled The Top 10 Lyme Disease Treatments, describes ten breakthrough Lyme Disease treatments that chronic Lyme Disease sufferers have found helpful. You can learn more about the book at www.defeatlyme.com. Lets take a look at several alternative treatments for chronic Lyme Disease which can be utilized in the event that antibiotics do not provide satisfactory treatment results. Note: The below discussion will present only brief introductions to each therapy, not complete descriptions. References will be given to find more extensive information. The Marshall Protocol addresses a part of the Lyme disease complex that no other treatment, protocol, diet, or supplement can even come close to touching: infection with cell-wall-deficient bacteria. Borrelia burgdorferi, the causative bacteria in Lyme disease, comes in three forms: spirochete, cyst, and cell-wall-deficient. Spirochetes can be successfully killed by rife machines (see www.lymebook.com). Cysts can be killed by certain types of antibiotics (including 5-nitromidizoles and hydroxychloroquine). Cysts can also be exposed and killed by rife therapy with proper treatment timing and planning. However, until the Marshall Protocol, there was not an effective treatment for cell-wall-deficient bacteria. Conventionally, doctors have tried to use certain types of antibiotics to kill cell-wall-deficient bacteria. Top choices include protein synthesis inhibitors such as the macrolides (Zithromax and Biaxin), the ketolides (Ketek), and the tetracyclines (tetracycline, doxycycline, and minocycline). Unfortunately, these antibiotics have been ineffective at worst and only moderately effective at best. Since cell-wall-deficient bacteria cause the most severe symptoms and worst disease manifestations of the three bacterial forms, discovering a way to kill them is no trivial pursuit. In fact, cell-wall-deficient bacteria are responsible for most of the devastating and debilitating aspects of chronic Lyme disease. So, killing these bacteria should theoretically result in tremendous improvement in symptoms. Which is exactly what happens with the Marshall protocol: Lyme sufferers using it have noticed accelerated recovery, leaps and bounds of symptom improvement, and even permanent progress that endures after the protocol is discontinued. Are pulsed electromagnetic fields (PEMF) healing or harmful? Electromagnetic Field Sensitivity (EMF Sensitivity) - Real or Imaginary? Preview pages from the book "Lyme Disease and Rife Machines"
Not convinced that rife machine therapy is for real? Watch author Bryan Rosner talk about various rife-related topics in the below sample videos. You can scroll through the videos and watch as many as you want. 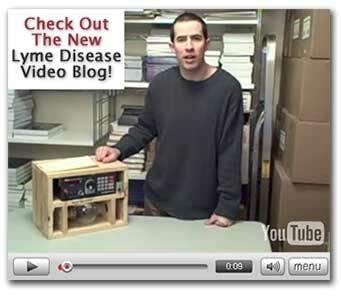 To see additional videos of Bryan discussing Lyme-related topics, visit his Lyme Disease Video Blog. Many Lyme sufferers choose to use natural / herbal antibiotics to combat chronic Lyme Disease in order to avoid the side effects of toxic pharmaceutical antibiotics. Examples of non-pharmaceutical antibiotics include Samento, Lauricidin, Grapefruit Seed Extract, Colloidal Silver (also referred to as "mild silver protein"), and Mangosteen. Learn more about which are the best choices. Lee Cowden, M.D., of Fort Worth, Texas, has established what has come to be known as one of the leading chronic Lyme treatments of our time. Known as the Cowden Protocol, this series of treatments consists primarily of various herbal extracts, including Cumanda and Samento (see right column of this page for more information on Samento) as well as hyperbaric oxygen treatment, ozone therapy, and other interventions. To learn more, we suggest you pick up the April, 2007 issue of Townsend Letter For Doctors and Patients, a well-known and respected alternative health periodical which examined chronic Lyme Disease in the April, 2007 issue. "Borrelia Remedy has been formulated to address the symptoms related to infection created by Borrelia Burgdorfi, Babesia Microti and Ehrlichia. The "Series Method" uses nosodes that range from high potency to a low potency. Each potency is administered singly over a period of weeks in a manner that resolves a deep, chronic disease state. This treatment was found to produce results that were extremely gratifying." Hyperbaric oxygen chambers (HBOT or HBOC, for short) are medical devices which are conventionally used for treating health conditions such as strokes, cerebral palsy, brain injuries, cyanide poisoning, burns, and the "Bends" (decompression sickness). Also sometimes referred to as hyperbaric oxygen tanks, these devices have proven somewhat successful in treating Lyme Disease. Researchers believe the benefit is a result of the fact that Lyme Disease bacteria are damaged or killed in high-oxygen environments, such as that created by HBOC. Above is pictured a hyperbaric oxygen chamber, inside which you can see a patient receiving a treatment (treatments are sometimes referred to as "dives," due to the changing pressure used to send oxygen deep into the body). Outside the tank you can see the operator, who supervises the treatment and is responsible for patient safety and comfort. 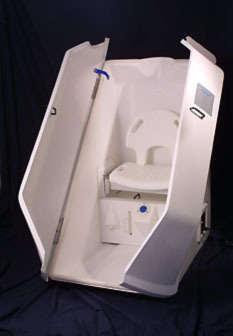 A treatment can take between 30 and 90 minutes, and is often uncomfortable because of the small amount of space in the chamber and the fact that use of a restroom is not possible during treatment. Hyperbaric oxygen chamber clinics are located throughout the United States, and a prescription is required for the treatment. Some researchers (such as Bryan Rosner) believe that this type of therapy may drive Lyme Disease bacteria deeper into the body, but this opinion is controversial. Various Lyme Disease patients have chronicled their experiences with this therapy. You can read the story of L. James Johnson and Wild Condor, both Lyme patients who have experience with HBOC. For more information, see this HBOT Today Lyme Article and a similar article on the website of James Schaller, M.D. Many other supportive therapies also help chronic Lyme Disease, including detoxification (with saunas, exercise, herbs, etc. ), healthy diet, supplementation, meditation, yoga, acupuncture, Chinese medicine / Chinese herbs, IV vitamin C, magnesium supplementation, Co enzyme Q10, lithium orotate, just to name a few. One Lyme Disease sufferer who maintains an excellent Lyme Disease resource site offers a good overview of many available therapies. See http://www.betterhealthguy.com. The treatments you end up using should be determined by a consultation with a trusted Lyme Literate Medical Doctor, and also be based on your personal, individual positive / negative response to therapy. For more information on supplements, see this 4-page article. A new Lyme Disease treatment called Immune Response Training is also worth investigating, although it is highly controversial. Mercury detoxification is critical when treating Lyme Disease. If you suspect that you have Lyme Disease, but have been unable to receive the diagnosis, the below tips will assist you. These are general tips and information about diagnosing Lyme Disease. * Positive serologic testing is NOT necessary for a Lyme disease diagnosis! Lyme Disease Diagnosis - From the CDC Division of Vector-Borne Infectious Diseases (DVBI): "The diagnosis of Lyme disease is based primarily on clinical findings, and it is often appropriate to treat patients with early disease solely on the basis of objective signs and a known exposure. Serologic testing may, however, provide valuable supportive diagnostic information in patients with endemic exposure and objective clinical findings that suggest later stage disseminated Lyme disease." "Health is a state of balance. Because humans and microbes are often competitors, interactive co-evolution has resulted in multiple and varied defense mechanisms on the part of both. The body must juggle and perform delicate balancing acts to maintain adaptive successes in spite of constantly changing life situations. Lyme Disease (LD), Fibromyalgia (FMS), Chronic Fatigue Syndrome (CFS), Gulf War Syndrome (CWS), and many similar chronic conditions affect multiple body systems often accompanied by extreme morbidity. Laboratory diagnostic methods presently in use are often undependable. " 1. Talk to your doctor, make arrangements for the doctor�s office to accept a kit from a laboratory. 2. Call the laboratory (number below) request a kit for a Lyme panel. Some labs will send it to you directly, others want a doctor's office to receive it. 3. When the kit arrives pick it up from the doctor�s office. 5. Go to a laboratory (hospital, every hospital has one, or private) have them draw your blood and spin it down. 6. Take the kit AND the spun tubes of blood home and call FedEx ( the phone number, prepaid mailer and packaging are enclosed with your kit) to pick up your package to deliver it to the out of state lab. Central Florida Research, Inc. is replacing the laboratory operations of Bowen Research and Training Institute, Inc. Bowen Research and Training Institute, Inc. will continue providing Bowen Therapy as a separate and distinct corporation. The new Borrelia burgdorferi antigen test Central Florida Research, Inc. will be offering is a much more definitive test than the Western Blot. A Borrelia burgdorferi fluorescent antibody is used to detect the antigen in whole blood. The test is set up manually and read by Flow Cytometry. The Flow Cytometer can count the number of organisms in 100,000 events in 2 minutes and 50,000 in 1 minute. To visually count the organisms in 100,000 events or 50,000 events using a microscope would be almost an impossibility. The Flow Cytometer counts the number of all events passing through the aperture and enumerates the organisms that react with the antibody. The test result will be reported as a percent of the counted events. This test detects the antigen or spirochete in the blood. The antigen may not be present in the sample tested if there are very few spirochetes within the blood or if they are in some other organ of the body. Therefore, a negative test does not mean the patient does not have Lyme disease. It means that we were unable to detect Borrelia burgdorferi in the specimen. Extensive listing of labs testing for lyme! Lyme Disease: Testing the Waters; As anyone who studies Lyme disease knows all too well, the difficulty is often not how to treat the disease, but how to arrive at the diagnosis. Several speakers examined the current state of diagnostic testing, highlighting what is currently available, what may soon be available, and in 1 case, what might have been available. We hope that this information on diagnosing Lyme Disease has been helpful. Remember -- Lyme Disease tests are often negative even when you have Lyme Disease! And also remember -- any reasonable physician should be willing to assist you in the above diagnostic process. If your physician refuses, find someone else. Chronic Lyme Disease is in fact a real medical condition, caused by the persistent presence of Lyme Disease bacteria in the body. It is critical that health care practitioners and patients recognize this fact in order to prevent additional suffering. This article is only intended as an introduction to this topic; not exhaustive treatment of it. For additional information, please visit the recommended Lyme Disease links to your right. One exciting development in the study and treatment of chronic Lyme Disease is the recent opening of a special medical research facility at Columbia University dedicated specifically to studying chronic Lyme Disease. Read our press release about this facility. The establishment of a chronic Lyme Disease research facility is one indication that this disease is slowly gaining recognition and acknowledgement in the mainstream medical community. 1 Healing Lyme by Stephen Harrod Buhner, Raven Press (June 25, 2005), ISBN-10: 0970869630. 3 Asymptomatic Borrelia-seropositive individuals display the same incidence of Borrelia-specific interferon-gamma (IFN-gamma)-secreting cells in blood as patients with clinical Borrelia infection, Ekerfelt C, Forsberg P, Svenvik M, Roberg M, Bergstrom S, Ernerudh, Clin Exp Immunol 1999 Mar;115(3):498-502, Department of Neuroscience and Locomotion, Faculty of Health Sciences, University Hospital, Linkoping, Sweden. 4 Chronic lyme disease in the rhesus monkey, Roberts ED, Bohm RP Jr, Cogswell FB, Lanners HN, Lowrie RC Jr, Povinelli L, Piesman J, Philipp MT, Lab Invest 1995 Feb;72(2):146-60, Department of Pathology, Tulane Regional Primate Research Center, Tulane University Medical Center, Covington, Louisiana. 5 Townsend Letter for Doctors and Patients, June, 2005 issue. 6 The National Institutes of Health (NIH), Centers for Disease Control (CDC), and common Lyme Disease knowledge and practice. Would you like to meet other Lyme sufferers and find out which treatments they are using? Join Lyme Community Forums, a new, absolutely FREE, online discussion group! Most people believe that all ticks are large and visible to the naked eye. Actually, as you can see above, certain types of ticks are incredibly small. As a result, many people get bitten by a tick and do not even know it. Consequently, there is a significant number of people with Lyme Disease who do not ever remember being bitten by a tick. What does this mean to you? It means that even if you think you've never had a tick bite, you may have whether you remember it or not, and you may be at risk for contracting Lyme Disease. Science or quackery? Many Lyme Disease sufferers report receiving benefit from "rife machines," which are devices that output electromagnetic energy tuned to specific frequencies. A book has been written about the subject, by Bryan Rosner, and there is an online discussion group with over 2,000 members. The above pictured machine is known as the "Coil Machine" (also sometimes referred to as the "Doug Machine" or "Doug Device"). Doug MacLean, inventor of the machine, can be seen in a recorded interview on DVD sold by BioMed Publishing Group. Lyme Disease sufferers sometimes use antibacterial herbs instead of pharmaceutical antibiotics - such herbs are typically less toxic while still providing comparable anti-Lyme effects. One such herb is TOA-Free Cats Claw, sold in a product called Samento, under brand name Nutramedix. Sauna therapy is very popular among sufferers of chronic Lyme Disease. Lyme Disease bacteria continuously secrete toxic neurotoxins. Sauna therapy, via sweat, allows the body to eliminate these toxins leading to greatly improved symptoms. Various types of saunas are available, including dry heat saunas, far infrared (fir) saunas, and ozone saunas. Pictured above is an ozone sauna cabinet enclosure made by PlasmaFire International of Canada. 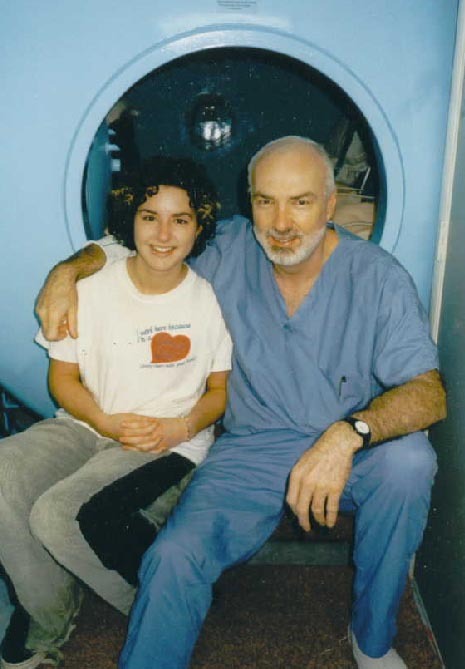 Don't miss the book, The Holistic Handbook of Sauna Therapy, by Nenah Sylver, Ph.D.
Pictured to the right is L. James Johnson and his daughter, Lani, sitting in front of a Hyperbaric Oxygen Chamber, which is a common alternative treatment for Lyme Disease. William Fife, Ph.D., has written an article on the results of a clinical study into the effects of HBOC on Lyme Disease. "The Diagnosis and Treatment of Babesia," by James Schaller, M.D. Co-Infections are almost always a factor when Lyme Disease is present. Co-infections include Babesia, Bartonella, Ehrlichia, Mycoplasma, Candida Albicans, Epstein-Bar Virus, and even sometimes parasites or worms. Because Lyme Disease will typically not improve until coinfections are diagnosed and treated, it is critical that you and your doctor test for coinfections if you have Lyme Disease. All competent Lyme Disease doctors will know this and automatically screen for coinfections. Babesia is among the most common of co-infections. Dr. James Schaller, M.D., who practices medicine in Florida, has written an excellent book on Babesia entitled "The Diagnosis and Treatment of Babesia: Lyme's Cruel Cousin, the OTHER Tick-Borne Infection." Some physicians use a drug called Heparin in treating chronic Lyme. 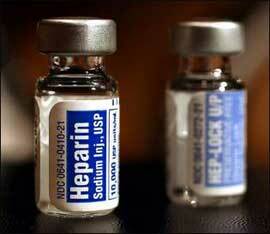 Heparin is a blood thinner. Why would this be used in Lyme Disease? Lyme Disease is quite often the cause of blood problems such as hypercoagulation, toxic blood, inflammation, and poor circulation. These problems lead to memory loss, muscle soreness, depression, schizophrenic-like symptoms, brain fog, and more. Some physicians believe that Heparin can alleviate these issues. While it is true that Heparin can reduce these symptoms, Heparin is generally not recommended by top LLMDs because a) it basically only conceals symptoms, without addressing the cause of the problems, and b) it is associated with some very dangerous side effects, one of which is an overgrowth and proliferation of candida (yeast) in the digestive tract and throughout the body. As an alternative to Heparin, systemic enzyme supplements can be used, which also thins the blood and digests toxic substances but in a more natural and holistic fashion. Systemic enzyme supplements include Wobenzyme (Wobenzym), nattokinase, and serapeptase. To learn more read Bryan Rosner's book, The Top 10 Lyme Disease Treatments. 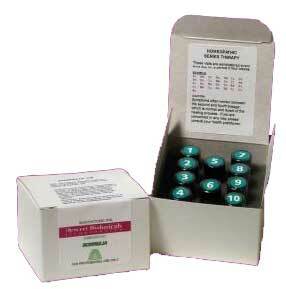 Homeopathic remedies, such as the "series" Borrelia remedy pictured above, are common in the treatment of chronic Lyme Disease. Homeopathy is the school of medical thought that uses "like to treat like," meaning that a sick person is given a substance which would elicit similar symptoms in a healthy person. Learn more about homeopathic concepts on Wikipedia's Homeopathy Page. The above pictured remedy is manufactured by Deseret Biologicals. Don't miss this link to information on finding a Lyme Literate doctor in your area! This is Trevor Marshall, Ph.D., founder of the Autoimmunity Research Foundation and inventor of the Marshall Protocol. The Marshall Protocol was originally intended to treat sarcoidosis, but it is also turning out to be one of the most effective treatments available for chronic Lyme Disease. 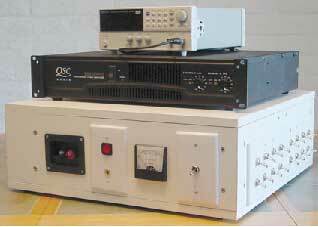 A drug called Benicar is used in an off-label capacity in the Marshall Protocol.